Open platform. Allscripts claims it is “Building open, connected communities of health”. Very easy to send prescriptions (Note: Allscripts started as an electronic prescribing company). Allscripts has been around for over 30 years and has history and experience on their side. A very big company, making it somewhat impersonal. Hard to reach someone at a high-level. Potential for costly fees for ongoing service and upgrades. Contractual obligations can make it difficult (and pricey) to ever change EHRs. Numerous acquisitions can lead to fragmented service and support. See above for Allscripts Reviews. If you are a user of Allscripts, we want to hear from you. Do you like Allscripts? Is it easy to use? How is the support? Do you use Allscripts Professional? Learn more about Allscripts EHR. HOW IS ALLSCRIPTS DIFFERENT FROM OTHER EHRS? With 30 years of experience on their side, Allscripts is a leading EHR solution. Through both internal and external (acquisitions) efforts, Allscripts has grown its portfolio suite and services into a leader in population health and precision medicine. Allscripts also provides its clients with an application store with the latest industry solutions. From care coordination to analytics to other innovative technology applications, Allscripts can meet almost any need a small to mid-sized practice may have. DOES ALLSCRIPTS PRACTICE MANAGEMENT OR ALLSCRIPTS PAYERPATH INTEGRATE SEAMLESSLY WITH ALLSCRIPTS PROFESSIONAL? 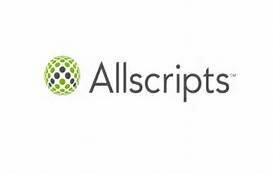 Boasting an “Open platform”, Allscripts practice management and payer solutions will seamlessly integrate with Allscripts Professional (Allscripts EHR for small to mid-sized practices) to provide a complete tool kit to create efficiencies and increase productivity. DOES ALLSCRIPTS OFFER PRACTICE MANAGEMENT SOLUTIONS?